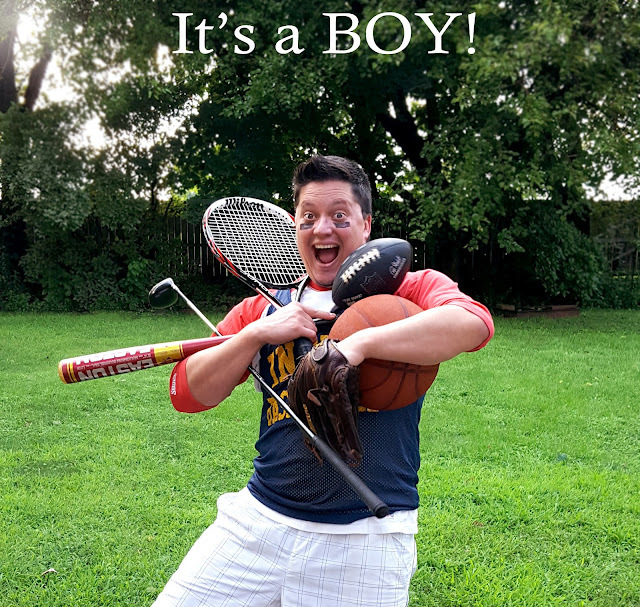 That's right; we're having a baby boy! We are so thrilled! Anyway, as I was saying, there will be a difference of 14 years between my children, so you can imagine how we're having to start all over again with baby stuff. I've been finding some great deals and have been blessed with so many things from friends and family for the little man. So, hopefully that will explain my absence from posting recipes. Between morning sickness, life in general, and nesting, I've been pretty busy! We also have another addition to our family... an Instant Pot! I've been hearing so many great things about them, so I snatched one up at a great deal on Amazon on Black Friday. I. am. in. love. My first meal in it was a pot roast, and it turned out fantastic! Also, I'm super excited to make baby food in it when the time comes, too! 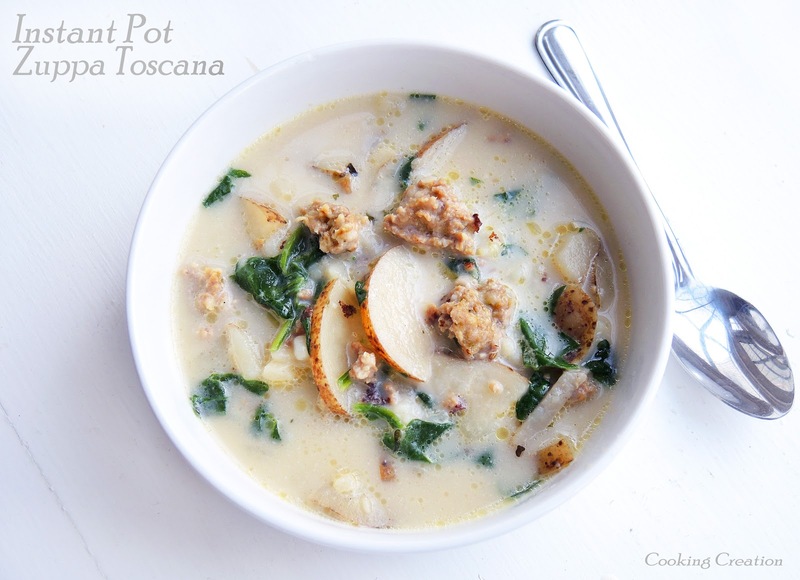 I made this Zuppa Toscana last night for dinner in the Instant Pot, and my family loved it! I adapted the recipe from Pinterest... which, by the the way, has a whole slew of wonderful Instant Pot recipes just begging to be tried! If you're on the fence about whether or not to get an Instant Pot, I would say to take the jump and get one! Press the saute function on your Instant Pot. Once hot, swirl around the oil. Add the onion and cook until translucent. Add the sausage and cook until no longer pink. Stir in the garlic and cook for 1 minute longer. Drain the sausage. Deglaze the pot with the chicken broth, scraping up the brown bits from the bottom. Add the sausage back to the pot and add the potatoes. Season with the parsley, oregano, basil, salt, and pepper. Put on the lid and lock it. Cook on high pressure for 5 minutes. Do a natural pressure release for 10 minutes, followed by quick pressure release. 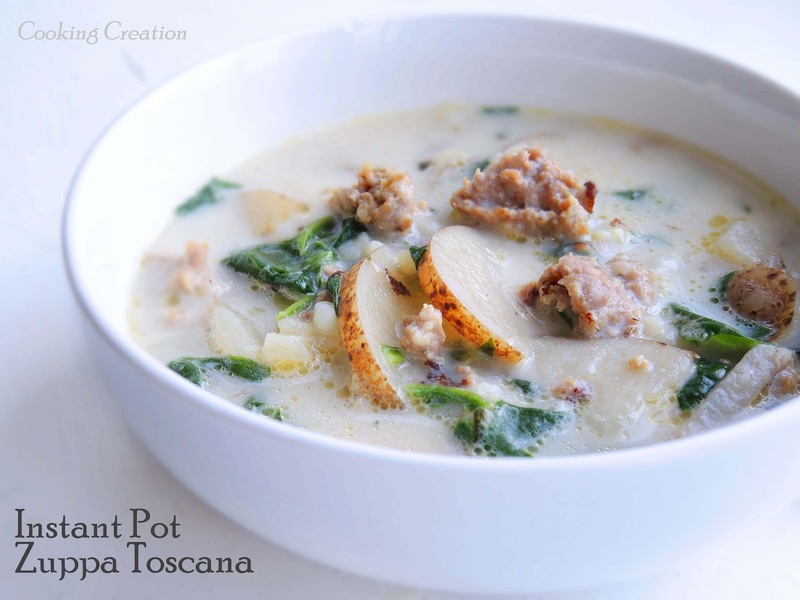 Stir in the spinach and cream. Garnish with shredded Parmesan cheese.